Mile 510 – June 30 – Gibraltar Lakes, IPW (best photo of the year!) with Ben, Matt, and Kathy. 2018 was supposed to be the year of exploring new places – and it was! After 15 years in the local mountains, it’s getting harder to find new trails but it’s definitely possible, even if the new territory is merely a tenth of a mile connection from one well-known trail to another. Many thanks to people who inspired me and accompanied me in exploring new (to me) spots of our little planet. Here are some snapshots in the running year of 2018. Mile 47 – Jan 19th. Echo Rock near NCAR in Boulder. Mile 156 – March 11 – North Table Mountain, Golden. Mile 180 – March 16 – A mule deer that surprised the heck out of me (and vice versa) in Bear Canyon. Mile 238 – April 7 – Lorry State Park, Ft. Collins with Ben and Kevin. Mile 405 – May 25 – Lefthand ORV area. Mile 418 – May 27 – Niwot Ridge and the Indian Peaks with the BTR Church Run. 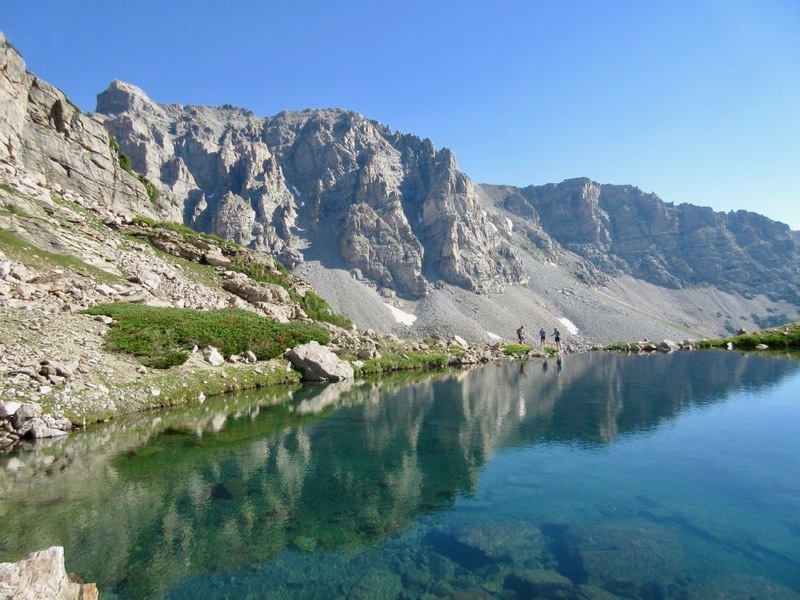 Mile 465 – June 16 – Raggeds Wilderness near Marble, CO.
Mile 491 – June 24 – Mt. Holy Cross (14,005′) I was not prepared for this first view of Holy Cross. Mile 760- Sept 20 – Getting snowed on at the Divide with Ben. Summer is officially over. Mile 898 – Nov 3rd – Hunter Canyon Rim, Moab, UT – Shortly after this I crashed. Mile 924 – Dec 19 – Dowdy Draw with Andy, first big run since the broken arm. Mile 940 – Dec 28th – Louisville. The raw numbers for 2018 were definitely impacted (so to speak) by my crash and burn in Moab. The totals: 944 miles, 131 runs, 240 hours, 141 kfeet of elevation gain. What’s on tap for the new year? More exploration for sure, but I want to focus on skiing (in-bound and backcountry both) as well as the usual running. This entry was posted in exploration, retrospective, running and tagged 2018, boulder, colorado, exploration, retrospective, running, trail. Bookmark the permalink.